Take a sharp knife and give a little cut to the side of the avocado. Hold the knife very firmly and twist the avocado along the blade. Then, to open it easily, hold the 2 halves of the avocado and twist them in opposite direction. To remove stone, make a little notch in the stone with your knife, so that it is well stuck in the stone. Then, twist it to remove it. 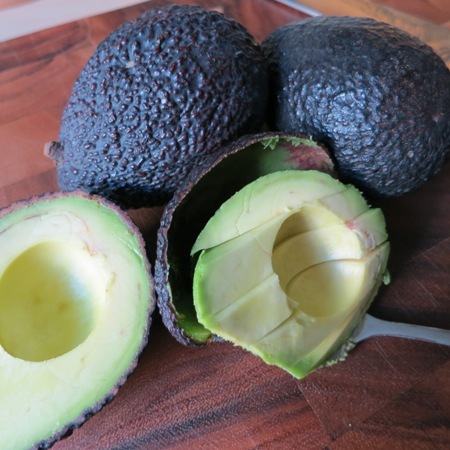 Slice up the avocado by holding one half in your hand and cutting lengthwise slices inside. Do not cut to deep not to pierce the skin. Then, spoon the flesh with a tablespoon, and you have a perfectly sliced avocado.